Brother Pines is the result of four guys rooted in the city playing good time music with good folks from Long Beach, CA. 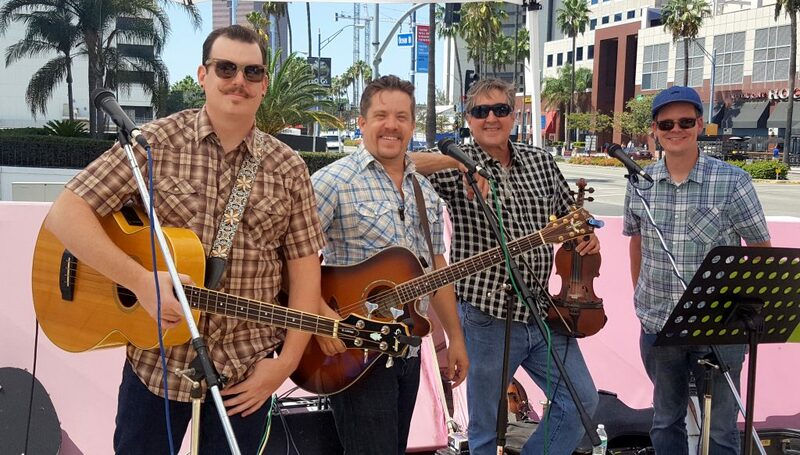 Singing & pickin’ along to classic bluegrass, country & folk songs comes natural to Sean, Steve, Ted, & Shea, but don’t be surprised to hear original tunes that fit in so well you would think they were plucked straight from the Appalachian mountains. Combining multi-part harmonies with the sweet string band sounds of mandolin, banjo, dobro, guitar & bass, these boys aim to please.